Download the Door Creek Golf Course mobile app to enhance your experience. Mobile apps contain many features like scorecard, GPS, tee times, news, deals and more! Click on the icons for more information and free download. Door Creek Golf Course is an Award Winning public golf course located in Cottage Grove, just minutes from Madison, Wisconsin. Voted Best of Madison (2009, 2011, 2012, 2013, 2014), Door Creek is the best golf course for casual golfers who want to enjoy the peace of a beautiful course or club golfers who want a consistently fun challenge! 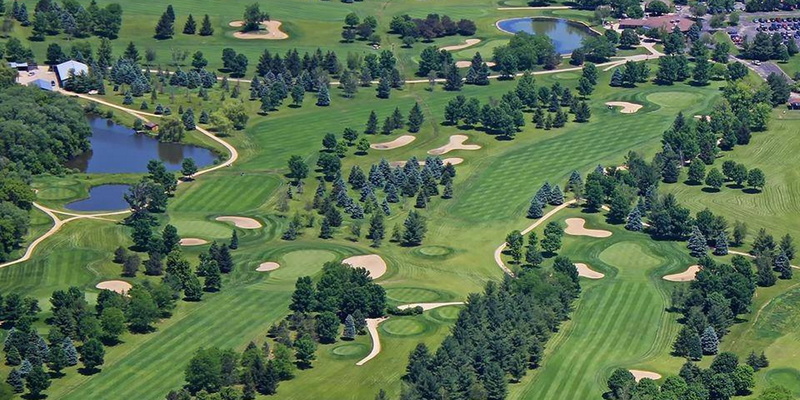 Whether you are new to golf or a seasoned golfer, you will find Door Creek Golf Course a joy to play! 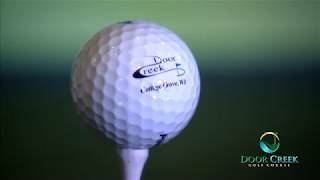 Door Creek Golf Course is a public golf course that offers 27 holes of golf including an 18 Hole Championship Par 71 golf course, and a 9 Hole Par 3 course. And we are the only course in the area offering golf year round- with our indoor virtual golf simulators! Improve your game at our practice facilities or take a golf lesson from one of our seasoned golf instructors. Door Creek is more than just great golf! Relax after your round in our bar & grill, or let us host your next golf or non-golf event! Please call 608-839-5656 for current rates. Located between Madison and Cottage Grove on Vilas Road, just south of Cottage Grove Road (Highway BB). Call 608-839-5656 for rates and tee times. Contact Door Creek Golf Course at 608-839-5656 for more information and details on holding a golf outing at the course. Door Creek offers both indoor and outdoor space for your special day! Please inquire for a wedding quote. Contact Door Creek Golf Course at 608-839-5656. Contact Door Creek Golf Course at 608-839-5656 for onsite or nearby dining options. Watch the Indoor Golf Simulators At Door Creek Video. We have 3 simulators open from November to the end of March. Play a round at a famous and beautiful golf course including Pebble Beach, Torrey Pines, Firestone, and more! This profile was last updated on 04/15/2019 and has been viewed 33,381 times.